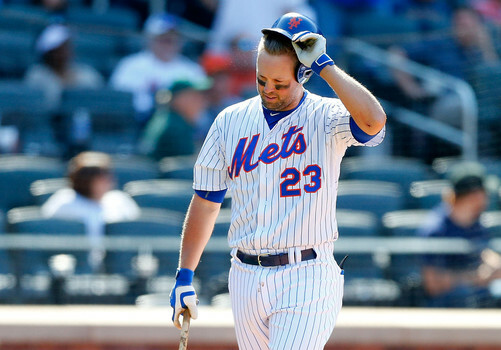 The Mets offense has been dismal this year. 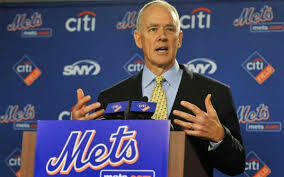 Sandy Alderson has attempted to build an offense of power and patience but to date has failed miserably. The Mets are 25th in both runs and slugging percentage. Alderson signings such as Michael Cuddyer and Curtis Granderson haven’t displayed any reason for hope that the Mets offensive struggles will change any time soon. That being said, there is hope and that hope comes from the Mets minor league system. The Mets collected a great group of minor league arms with Steven Matz the last of that group still in the minors. Matz should be in the bigs around the All-Star Break. All of those pitchers have lived up to the hype so far. Now we could be seeing the new wave of Mets prospects, the position player side. Led by 2014 first round pick Michael Conforto, the Mets have quietly accrued a group of solid position player prospects. Here are the guys that could balance out the Mets lineup in the next few seasons. Michael Conforto- Although Michael is the newest player to the Mets farm system of this group, he likely will be the quickest one to the majors. Conforto is hitting .375 in Binghamton (AA) after starting the season in St. Lucie. Conforto has a quick bat and looks to be an upcoming star. Ideally he gets to Las Vegas (AAA) by September if the 51’s make the playoffs, which would allow him to be a phone call away next season. Conforto came into the draft last season with a reputation that he would have to be hidden somewhere defensively but the Mets have been very impressed with his outfield play and his bat will work well in left field. Dom Smith– This sweet swinging first baseman is probably awhile away but the Mets have been impressed with his at bats. Don’t be alarmed by the lack of power (2 homers) as St. Lucie and the Florida State League is a very difficult environment to hit. Smith reminds me of a James Loney type of player. Expect him to hit for a high average but home runs will always be a question when you play first base. Gavin Cecchini– Perhaps the biggest surprise of all of the Mets minor leaguers, Cecchini has emerged as a legitimate shortstop option for the Mets going forward. He is hitting over .320 in Binghamton (AA) and has played a strong shortstop defensively. There was serious question whether his bat would hit enough for him to play one position everyday. Now it’s looking like Gavin can stick. He’s only 21 years old so expect him to continue to grow offensively. Brandon Nimmo- Sandy Alderson’s first draft pick as Mets General Manager got off to a rocky start to his Met tenure. Nimmo has slowly moved up the minor league ladder and can legitimately get to the big leagues by the end of next season. 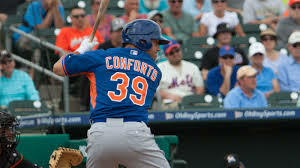 He was on the DL for a little bit but like Conforto it would be a big accomplishment if the outfielder could reach Las Vegas (AAA) this season. The concern with Nimmo is can he hit left-handed pitching. If not he’ll be a fine platoon player in the Mets outfield. Amed Rosario– Out of this group of prospects, Rosario is probably the rawest but most scouts seem to like him more than just about any other Met prospect. The Mets aren’t sure if he will stick at shortstop but most think the bat will develop. Don’t expect to see Amed anytime soon in the majors however. Sandy Alderson has rightfully taken a lot of criticism for his sculpting of the Mets lineup but if most of these five position players can hit in the big leagues then Alderson’s tenure as Mets GM will be deemed a success, it’s that simple. All five of these players were signed by Alderson and his staff. According to MLB.com, eight of the Mets top ten prospects are now position players, a drastic change from where the Mets were a year ago. The Mets are going to have to pay their young pitchers in the next few years so getting impact bats at the major league level making the league minimum would be huge. Which Met position prospect are you most excited to see? 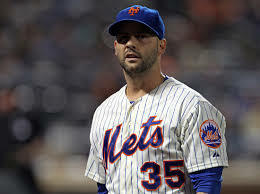 After six seasons with the New York Mets, the Dillon Gee era is over. The right-hander imploded Sunday in a spot start against the Atlanta Braves, giving up eight runs and raising his ERA to 5.90. The Mets designated the right-hander for assignment a few moments ago. It’s a mystery why the Mets DFA’d Gee instead of just optioning him to Las Vegas (AAA). Since Gee doesn’t have five years of service time he can’t refuse the option but the Mets elected to wipe him off the 40-man roster completely. They now have 10 days to find a trade partner or they will have to give Gee his unconditional release. The whole situation is very similar to the Ike Davis situation last season in that it was completely botched. The Mets who desperately needed Gee’s $5.3 million salary off the books, now will most likely be on the hook for all of it except the league minimum. The Mets fielded trade offers for Gee last winter but elected that the players they were getting back weren’t worth losing their rotation security blanket. The Mets didn’t get many offers for Gee but they definitely could have moved the right-hander if they lowered their asking price. Even if they weren’t being offered much a Gee trade could have opened up $5.3 million for the Mets, which could have allowed them to be active in trade talks for a bat right now. The Mets were picky in what they were asking for and held Gee, like Davis last season, to a higher asking price in trade talks than the rest of baseball. The Mets were asking for a haul two winters ago for Davis, turning down some pretty good offers in the process. In the end, like Gee, the Mets hung on to Davis far too long and were lucky to move him to Pittsburgh in a salary dump in the end. Teams like the Rangers, Royals, Twins. Rockies and Giants all inquired about Gee this winter. All of those clubs could use another starter now. If the Mets just traded Gee last winter they would be in a much better spot right now. Although the six man rotation seemed like a great idea to limit their young starters innings, it seemed to cause most of their pitchers to struggle, most notably Gee. A few Met starters complained publicly about the new rotation messing with their routines. The Mets kept yanking Gee around to various roles all season so it really wasn’t a surprise that he struggled. The Mets will likely find a trade partner for Gee within the next ten days but it remains to be seen how much money the new team would be willing to take on. With the Mets hanging around the Nationals for first place in the N.L. East there is plenty to be happy about in Metland. However the team has obvious holes up and down the lineup and all of the talk from media and fans has been about what the club should do to fix these offensive problems. While adding a big bat to bolster the lineup couldn’t hurt it isn’t something the club is likely to do so we should simply stop talking about it. After being no-hit in ugly fashion by Chris Heston, the trade talk around the club will only get louder. This Met club is at the absolute max their payroll is going to be at for awhile so talking about adding payroll is just a waste of breathe. The team also isn’t going to give up a Steven Matz or a Noah Syndergaard to get that big bat so we really are just wasting our time talking about outside additions. The Mets will be getting reinforcements when Dilson Herrera and Travis d’Arnaud are activated off the DL this week. If Travis can get into a rhythm and get back to the way he was hitting pre-injury, then that is a huge bat to help a struggling Met offense. It isn’t known if Herrera will be back with the big league club immediately or if he will be optioned to Las Vegas (AAA) for a little while. Ideally the Mets will get Daniel Murphy back too in the next couple of weeks but the lineup is going to be an issue for the club all year. 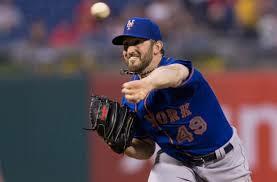 They aren’t trading Jon Niese or Dillon Gee to acquire the offense they are going to need. That is just a pipe dream as those two pitchers don’t have any value. Any trade involving either pitcher is just to dump salary. If the Mets make anymore offensive changes, expect them to be internal. Maybe things change as we get closer to the trade deadline on July 31st but that is what to expect from the Mets at the moment. The talk around this team should be about what they do have, and what they are getting back not what they don’t have or what they can’t afford. The Mets have an elite pitching staff and if the club is able to scratch out just four runs that should be enough to win on a majority of nights. It is not ideal but the Giants won multiple championships with great pitching and that ability to scratch out runs, there is no reason the Mets can’t do the same when healthy.